When do tranquility and strength work together in harmony? 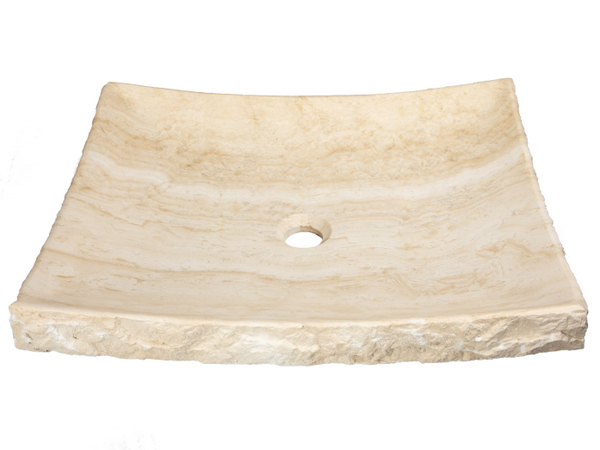 Only with the Eden Bath white travertine zen stone vessel sink. This version of our popular Zen sink is polished on the interior and chiseled on the exterior. The rough exterior of this stone sink provides a rustic, rough and natural look while the polished interior provides a functional and beautiful stone sink surface. The free flowing lines of this sink will provide your bathroom with a zen like feeling you can usually only find at your favorite spa. Outer Dimensions: L: 21", W: 17", H: 4" What Does This Mean?